– The Clippers (36-18) entered this game without a victory over a truly elite team. They were a collective 0-4 against the top three teams in the West – Golden State, San Antonio and Oklahoma City. So to beat the Spurs by 19 – even if it was the first game right out of the All-Star break – was a big deal. Yes, the Spurs (45-9) were without Kawhi Leonard and Manu Ginobili. But the Clippers were minus Blake Griffin, Austin Rivers and Pablo Prigioni. That’s not to mention that Lance Stephenson was on his way to Memphis after being traded there for Jeff Green, who also was not available to the Clippers for this one. – Chris Paul has been a beast, and was again. He scored a game-high 28 points, doled out 12 assists, grabbed five rebounds, made a steal and blocked a shot in 37 hard minutes. He had just two of the team’s 18 turnovers. Paul shot 9 of 18 and made all seven of his free throws. – With Rivers and Prigioni both out, Jamal Crawford played some backup point guard. The results were a mixed bag. He came through with six assists to go along with his 19 points on 7 of 15 shooting. But he committed seven turnovers in 30 minutes. – When LaMarcus Aldridge (3 of 12) and Tim Duncan (1 of 6) shoot a combined 4 of 18, it’s going to be difficult for the Spurs to beat a good team. Part of that was Clippers defense, part of it was just poor shooting. 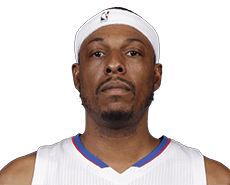 – Cole Aldrich played 20 tough and successful minutes for the Clippers. The backup post scored eight points on 4 of 5 shooting, pulled down eight rebounds, doled out two assists and blocked three shots. Seriously, this young man plays hard. He doesn’t back down. BONUS TAKE: How do you not acknowledge DeAndre Jordan? He scored just nine points. But he also grabbed 17 rebounds, made three steals and blocked two shots in 37 minutes. It was noted to coach Doc Rivers that the Christmas night game between the Clippers and Lakers might be the last time we see Kobe Bryant and the Clippers’ Paul Pierce play on Christmas. Bryant has already said he is retiring at the end of the season. “I mean, I don’t know about Paul because he still loves playing and all that,” Rivers said of Pierce, 38. “He hasn’t had the injuries that Kobe has had, so that’s made a difference. We’re going through this golden age right now with not just Kobe, but Tim Duncan, Paul, KG (Kevin Garnett). – It was kind of ironic that coach Doc Rivers became a bit perturbed about being asked – once again – about the lack of a good bench at the pregame news conference at AT&T Center. Then his son, Austin, goes out and has the game of his life with 16 points on 7 of 8 shooting while also playing solid defense. He did all this in 17 absolutely terrific minutes. 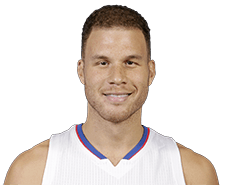 – Both Chris Paul and Blake Griffin said that without the younger Rivers, the Clippers would not have won this game. They are probably right. Then again, Paul and Griffin both had monster games. Paul scored 34 points and shot 11 of 19 while doling out seven assists. Griffin scored 20 points and was a beast on the boards with 19 rebounds; he, too, had seven assists. So you could also say that if either one of those two has a mediocre game, the Clippers don’t win this one. 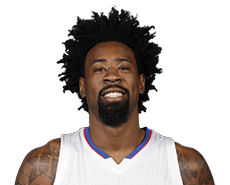 – DeAndre Jordan didn’t score much in this one, going for six points. But he had 14 rebounds and four blocked shots that helped the Clippers, setting the tone for a stronger defensive effort than in Game 3, when the Clippers were destroyed by 27 points. 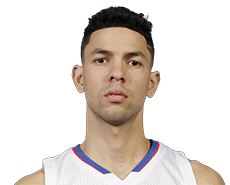 – Another key element to this win was J.J. Redick and Jamal Crawford getting their shooting back on track. Redick had shot 10 of 32 in the first three games, but shot 6 of 12 in this one for 17 points. Crawford was 12 of 34 the first three games, and shot 6 of 13 for 15 points in this one. Again, the Clippers needed every bit of that. – If you’re a Spurs fan, don’t blame Tim Duncan, Kawhi Leonard or Tony Parker for San Antonio’s loss. Duncan scored 22 points with 14 rebounds, Leonard had 26 points and seven rebounds. Parker scored 18 points. The other two starters – Tiago Splitter and Danny Green – shot a combined 0 of 11. Splitter was 0 of 5, Green 0 of 6. All of Green’s misses were from 3-point range. Ouch! Neither player went to the free-throw line, either. The Clippers shot just 34.1 percent from the field in the first half, but a jump-shot by Blake Griffin at the halftime buzzer meant the Clippers would trail by only eight points (46-38) at the break in Game 3 at AT&T Center in San Antonio on Friday. Griffin led the Clippers with 10 points in the half. Kawhi Leonard led San Antonio with 16 points, but Tim Duncan had just two points. Tim Duncan showed his Hall of Fame talent in the first half Wednesday when he scored 16 points on 8 of 9 shooting to lead the San Antonio Spurs to a 52-47 lead over the Clippers at the break in Game 2 of their Western Conference first-round playoff series. Blake Griffin of the Clippers was nearly as good, scoring 19 points on 9 of 13 from the field. The Clippers lead the series 1-0.